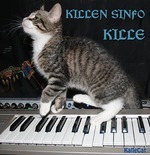 Kille Kitten compose and play music. Music Story - The Song of the Miceeh Planet. - 1. - 2. - 3. - 4. - 5. Miceeh Diskow - 6. - 7. - 8. The Music Story - 8 songs. The Music Story - The Song of Miceeh Planet. - The Dream Prince.